Myles O’Donoghue Properties are delighted to bring to the market 75 Pinebrook Vale. 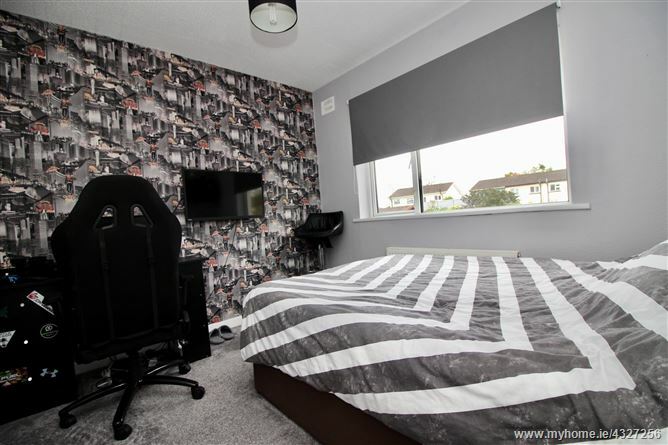 This is a bright 3 bedroom mid-terraced family home presented in excellent decorative condition throughout. 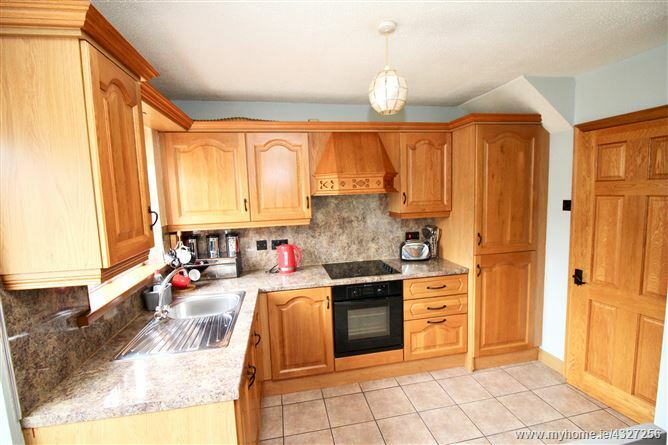 The property has been well cared for by the current owner and has been invested in to include a modern Kitchen and Bathroom. There is a wide driveway providing off street parking for 2/3 cars. 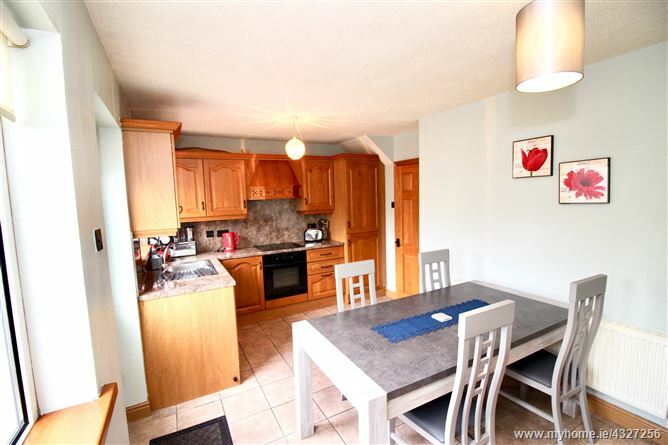 The accommodation comprises, an Entrance Hall, Living Room, and, an open plan Kitchen / Breakfast Room with glazed door to the south west facing rear garden. Upstairs there are three bedrooms and a Bathroom. Pinebrook Vale is conveniently located with a host of local amenities on its doorstep including local shops, Churches, Hospitals, Doctor Surgeries, Creches, Primary and Secondary Schools and The Blanchardstown Institute of Technology. Recreational facilities are well represented in the area with the Millenium Park, the National Aquatic Centre and local GAA and soccer clubs. The Blanchardstown Centre with its array of shops, Cinemas, the Draoicht Theatre and Blanchardstown Library are all within easy access. Pinebrook Vale has access to a well serviced bus route to city centre and the M50 provides a network to North & South Dublin with the airport a 20/25min distance. 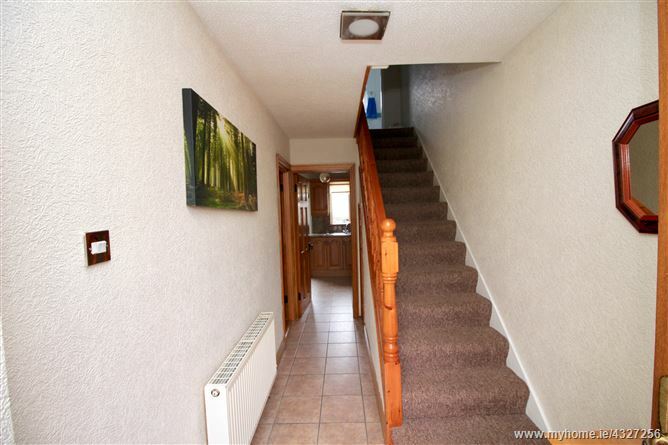 Entrance Hall: with under stairs storage space and tiled flooring. 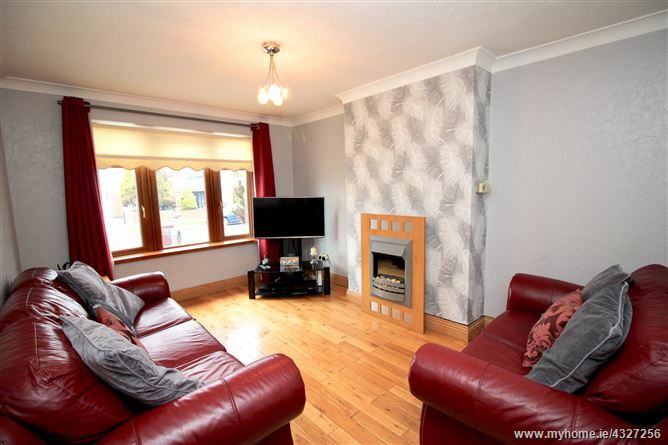 Living Room: 4.50m x 3.14m with feature coal effect electric fire, timber flooring and picture window overlooking front. 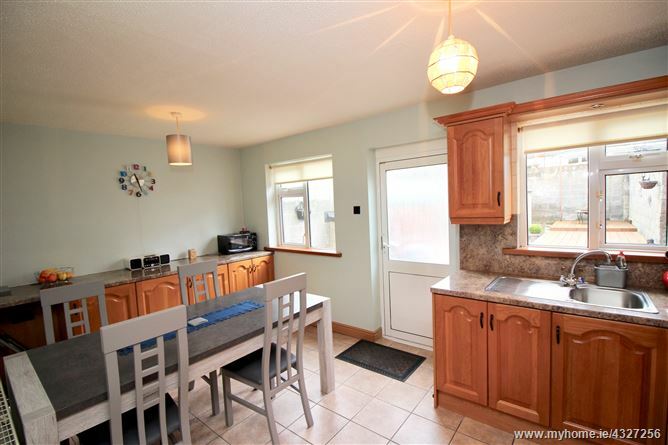 Kitchen / Breakfast Room: 5.05m x 2.81m Modern Kitchen with an excellent range of fitted units incorporating illuminated work top areas, stainless sink unit with large splashback surround, built in oven, ceramic hob and extractor fan. Glazed panelled door to rear garden. Tiled floor. Bedroom 1: 4.09m x 2.87m with built in wardrobe and timer flooring. Bedroom 2: 3.19m x 2.76m with built in wardrobe. 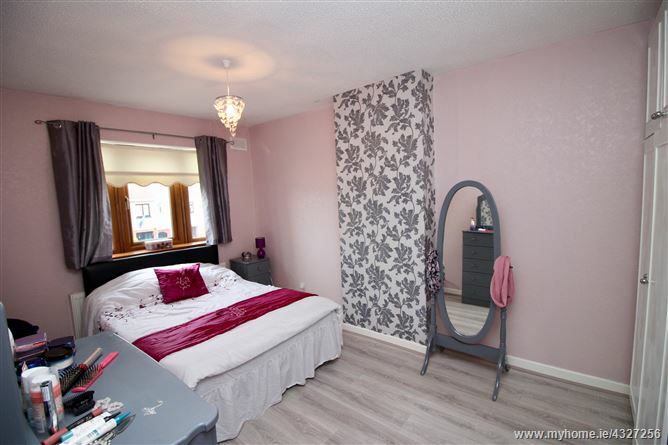 Bedroom 3: 3.19m x 2.12m with built in wardrobe and timer flooring. Bathroom: white suite incorporating bath, WHB in vanity unit and WC. Tiled floor. 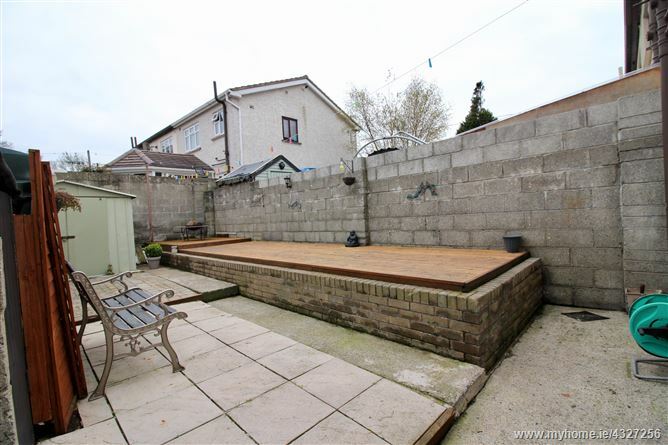 The garden to the rear is bounded by concrete block walls and is laid out with low maintenace in mind with a combination of patio areas and a raised decking area. 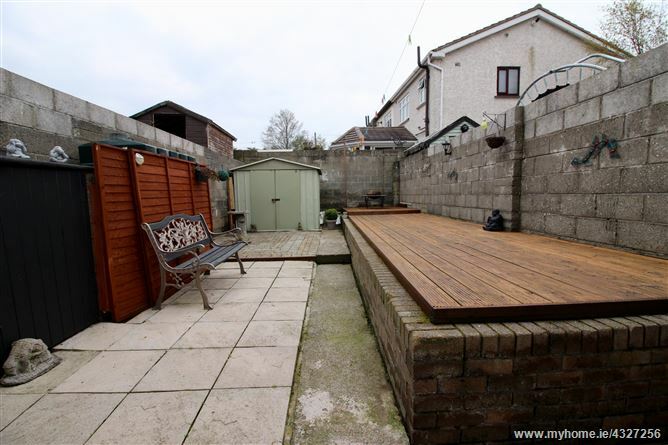 The rear garden enjoys and enviable south west orientation. 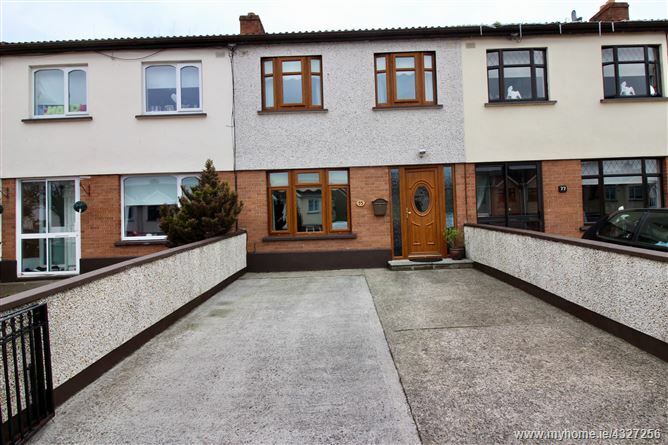 Information and particulars detailed on this brochure are issued by Myles O’Donoghue Properties on the understanding that all negotiations are conducted through them. Whilst every care has been taken in the preparation of the information and particulars they do not constitute an invitation to treat, an offer or a contract of any nature whether express or implied. All descriptions dimensions, maps, plans, artist impressions, references regarding condition, permissions, licences of use or occupation, access and any details are for guidance only and may be subject to change, without prior notification. The information and particulars are provided in good faith but no intending purchaser or tenant should rely on them as statements or representations of fact and are specifically advised to undertake its own due diligence at its own expense to satisfy itself as to the accuracy and correctness of the information and particulars given. No employees of Myles O’ Properties agents or affiliate companies make any warranty or representations whether express or implied with respect to the information and particulars and which are to the fullest extent permitted by law, disclaimed; furthermore, such parties accept no liability in respect of any loss suffered by any intending purchaser or tenant or any third party arising out of the information and particulars. Prices are quoted exclusive of applicable taxes such as VAT & Stamp Duty (unless otherwise stated) and all negotiations are conducted on the basis that the purchaser / tenant shall be liable of any VAT & Stamp Duty arising from the transaction.